For new or existing small companies I can help you to get started, understand your strengths and weakness as you go to market, develop effective infrastructure to deliver customer satisfaction, manage HR issues, manage the cash flow needs of growth, develop critical metrics to monitor and identify sources of working capital. I started out as a financial professional and over time became focused on operational isuues in both corporate and small business organizations. I can provide strategic oversight, organize to succeed, develop marketing focus, distribution & logistics and your dashboard metrics. I will help with your banking relationships, offer advice on any operational, finance or administrative issues and help you to focus on the critical levers and pittfalls to success. I have been responsible for oversight of internal business startups in large corporations and evaluated student business plans at Bentley and Babson as part of their alumnai coaching programs. I have owned my own small business and been CEO & GM of other dynamic small businesses. 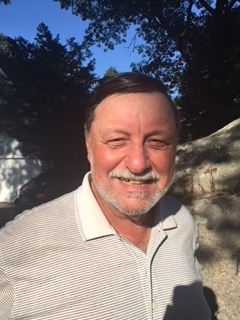 I am active in town government and have been Chairman of the Cohasset Advisory Committee, 2 terms, Chairman of the Cohasset Long Range Planning Group, Member of the Cohasset Senior Center Committee and currently Chairman of the Open Space and Recreation Committee. I am a board member and Treasurer of the Cohasset Safeharbor Coalition - substance abuse education and prevention. Past board member and Treasurer of the Cohasset Sailing Club.